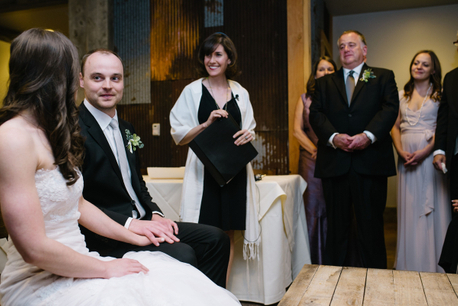 Bringing Spirit, Heart, and Ritual to Weddings and Retreats. Serving Denver, Boulder, Colorado, Seattle, Everett, Tacoma, Western Washington, and destination locations. 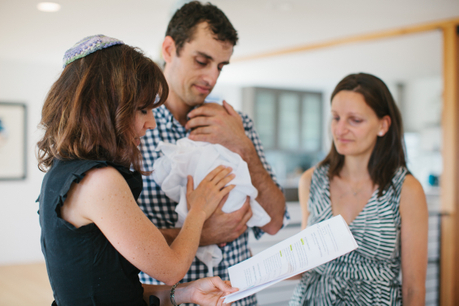 Rabbi Jessica K. Marshall is your spiritual and Jewish ceremonies specialist, personalizing your weddings, baby namings, and creative rituals to mark life’s transitions. Imagine standing under the chuppah with your beloved...how do you feel? 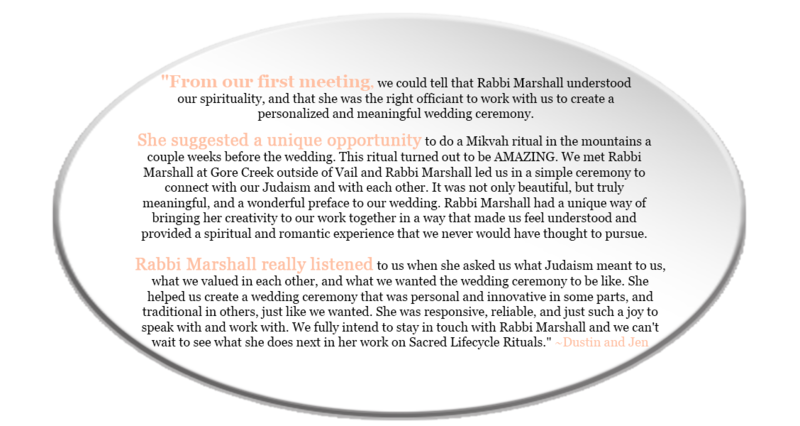 Blessed in a trusting, connected, joyous, sacred circle, Rabbi Marshall looks forward to creating a service reflective of the two of you – your values and passions. She officiates at Jewish wedding ceremonies, interfaith ceremonies, and LGBTQ weddings and can help you find ways to include your entire family in the ceremony as well as incorporate personal prayers and rituals. Getting to know each of you more deeply and co-creating a ceremony that speaks to your ideals is a core part of her wedding process. She typically meets seven times with couples in order to create this personal relationship. Join me for time in joyous and sacred community. We'll start with shmoozing & healthy & decadent munchies. Coming into silence, we'll breathe into our heart-space, reconnect with our Oneness, light, and joy. Something magical happens on retreat. We're gifted time, space, beauty, and quiet for our soul's wisdom to emerge. 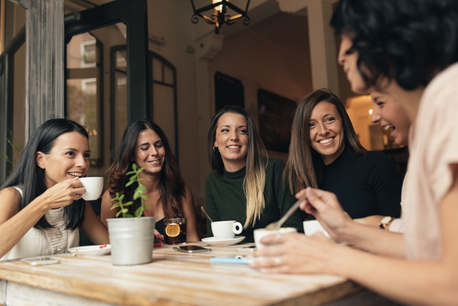 Rabbi Marshall can also help you create a personal gathering in the comfort of your home, or another soothing locale, and design a retreat made especially for you or your group of friends’ renewal. 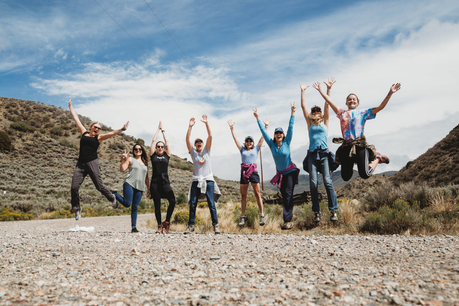 Our time together will include reflection, intention setting, gentle relaxation, lots of laughter, and any other activities to help you reconnect with your spirit. My soul is nourished by deep connection--to others and the natural world. I serve by creating sacred space to hold moments of joy, tenderness, possibility, and deep authenticity. 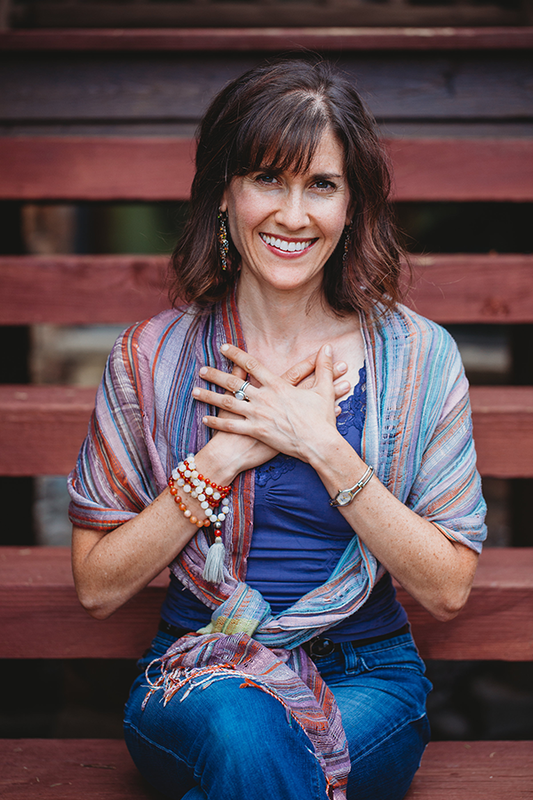 Drawing on nature-based ritual, inclusive, embracing spirituality, mindfulness, and a healthy dose of playfulness and humor, I offer rituals and retreats to bless the fullness of life's journey.